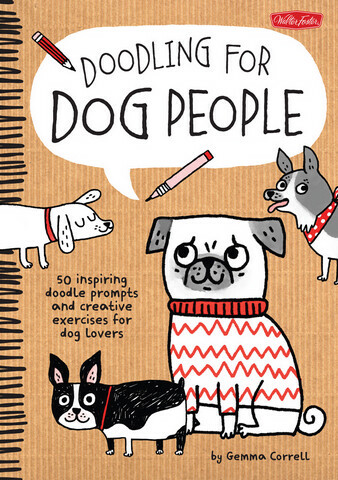 Doodling for Dog People is designed to appeal to seasoned artists and doodle enthusiasts alike. Packed with more than 50 fun and inspirational prompts, doodling exercises, and canine-related factoids, professional illustrator Gemma Correll sparks the imagination and spurs canine lovers to explore, experiment, and brainstorm ways to draw and doodle their favorite furry friends with her cute and clever art style. The artist's simple, unique, and whimsical approach is sure to inspire, entertain, and guide artists of any skill level. Doodlers will find inspiration for drawing different types of dogs, dogs in outfits, dogs in action, and even doggie accessories. An interactive book, Doodling for Dog People demonstrates how to draw whimsical doggie doodles, while encouraging artists and doodle enthusiasts to develop their own style and techniques. With its portable format and plenty of open doodling pages, this quirky doodle book is perfect for on-the-go creative types.